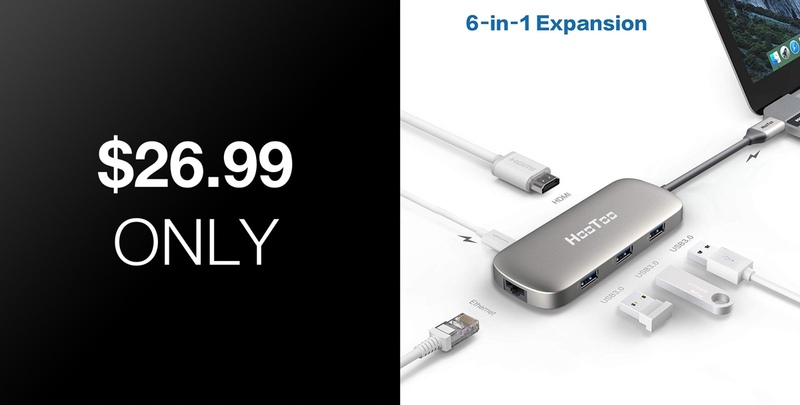 HooToo’s 6-in-1 USB-C hub has hit a wonderfully low price of just $26.99. It adds all the missing ports back to your MacBook or expand on what you already have. Get the deal today and save big. The world of the USB-C port is a new one, and it’s also one that often leads to compromise. If you’re a fan of Apple computers, you’re probably very aware of the fact that the company seems to be enjoying its own one-company war on ports, which often means we’re left with just the one or two USB-C ports with which to work. That’s no good if you need USB-A, or heaven forbid, Ethernet. That’s where a hub comes into play. and you can save big on one one of the best right now. That HDMI port supports 4K video, and because the hub is available in three different colors you shouldn’t have too many problems finding one that will closely match the computer you’re using as well. If you’re using a MacBook Pro, you’re in luck because these colors are a pretty good match for Apple’s. 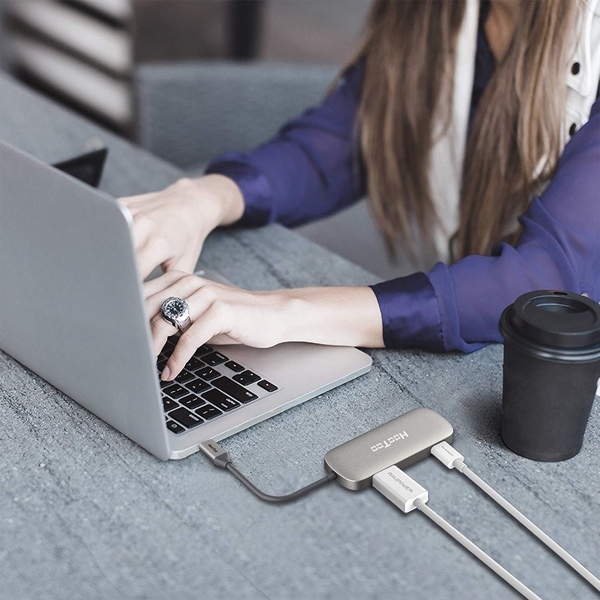 USB-C hubs are becoming a necessity given the way ports are becoming an endangered species in 2019, and if that trend continues we’re going to be using more and more of these things. Right now is the time to save some money, so get your order in quick!